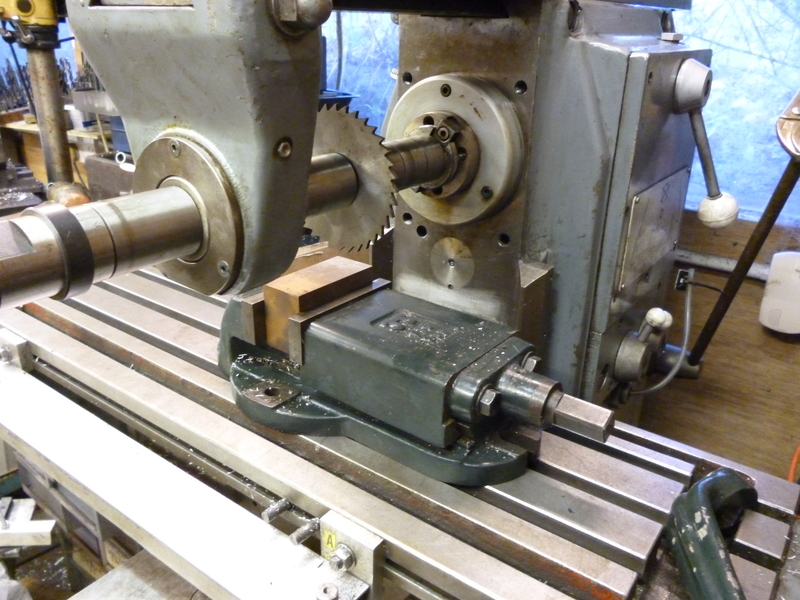 On the horizontal milling machine the usual tool holder is the horizontal arbor. This consists of a hardened and precision ground round bar. 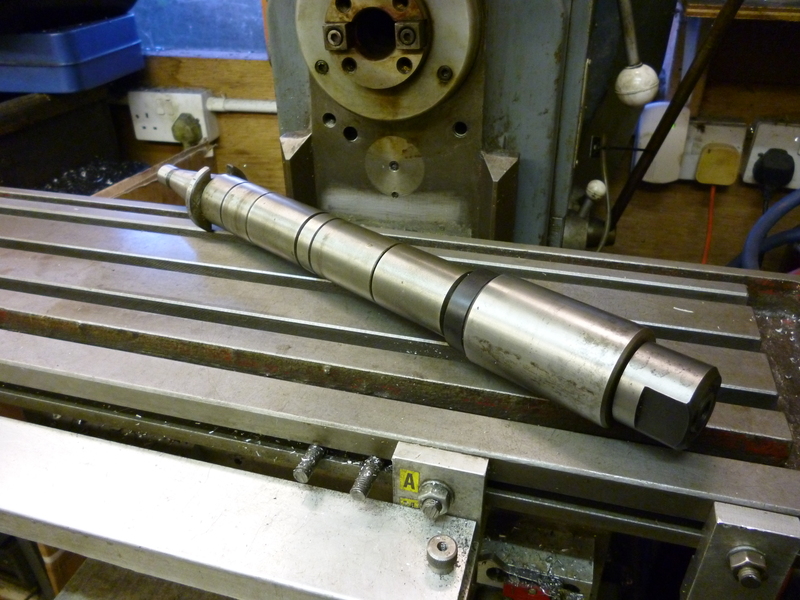 One end has a taper to fit the spindle of the machine. 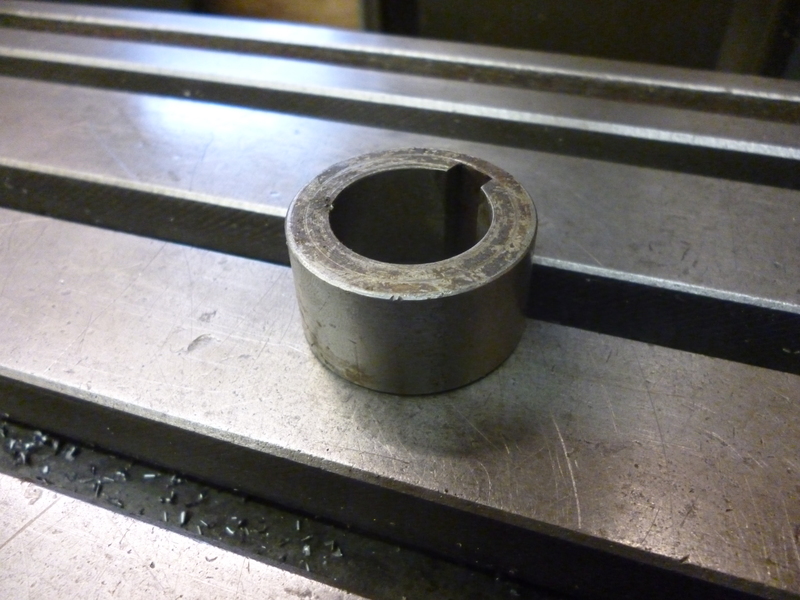 This would usually be the horizontal spindle.The other end has a special nut (i.e. it usually has a left-handed thread). The arbor has a keyway all along its length. It comes with some keys of varying length. The arbor has spacers that fit it. A new arbor comes with spacers that fit the whole length of the arbor. The spacers vary in length so the gap between the spacers can vary. Spacers can be juggled about so the cutter can be positioned at any required position on the arbor. The key not only fits the keyway on the arbour but also the slot in the bore of the cutter. Having a key like this greatly increases the amount of power that can be used to drive the cutter. However if the spacers are done up tightly most small cutters will still work without the key. This also has the advantage that if the cutter really cannot manage to make the cut, instead of a nasty graunch, the cutter will (might) just slip. If the arbor is used without the key it is essential that any cutting forces are in the direction that tightens the nut rather than untightens it. Should the cutter come loose it will stop cutting. This is not really a problem – if the workpiece is being fed by hand. The problem then is if the table is being fed automatically in which case there will be a non-cutting cutter being pushed very hard into a stationary lump of metal. The arbor is supported at the far end by means of a very rigid arm fixed to the top of the main body of the milling machine. This arm can either be a round bar or a bar with a dovetail on it that fits on the top of the machine’s column. The end of this bar carries a bracket that has a bearing in it to support the far end of the arbor. On the arbor there is usually one spacer with a larger diameter than all of the others. This is designed to fit the bearing on the end of the arm. The bearing may be a plain metal bearing or some from of roller bearing. Since the forces on this can be very great it is essential that this is lubricated when in use. For the most rigid setup the cutter should be as near the column of the milling machine as practical. The support for the arbor should be fitted so the length of the arbor from the column to the support is as short as practical. The horizontal arbor is usually too long to fit into the vertical spindles socket. But if the socket on the vertical spindle is the same size and sort as the horizontal socket then any tooling that can be used in the vertical socket can be fitted to the horizontal socket. For example, the stub arbor already described will fit and can be used to hold almost any of the cutters that would be used on the horizontal arbor. (Assuming that the diameter of both of these arbors is the same). A new arbor is always supplied with a set of spacers. There will be enough of these to fill the whole length of the arbor. These are tubes of various lengths that accurately fit the arbor. It is very important that the ends are at right angles to the axis of the arbor. Often the ones supplied only go down to a thickness of about 6mm. But they can be bought in a very large number of different, thin sizes. This means more than one cutter can be fitted to the arbor and the spacing between the cutters can be set very accurately to whatever spacing is required. It is also possible to get a micrometer spacer. This is really just a thin spacer made of two parts that screw together. This varies the width of the “spacer”. Usually the diameter of the cutter is not important so long as it can cut deeply enough. But if more than one cutter is being used then the relative diameters can be very important. The horizontal arbor must always be held in the spindle’s socket with a drawbar. Unlike the vertical socket where different tool holders are used, on the horizontal socket the horizontal arbor will invariably be used for horizontal milling. 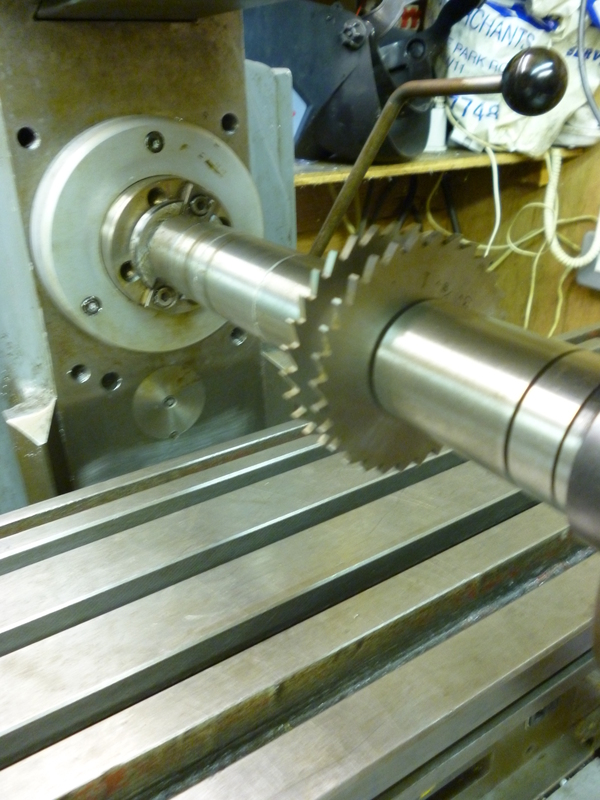 There can be other tapers fitted to the horizontal spindle. In this case if all the tapers have the same thread it is unnecessary to be able to withdraw the drawbar. This means the milling machine can be placed nearer a wall than it could be otherwise. If the milling machine is just a horizontal machine or one only used for horizontal milling the horizontal arbor can be in place for very long periods of time. In this case Morse tapers can become almost impossible to remove. Even International tapers can get stuck. It will be seen elsewhere that a horizontal milling machine can be used as a vertical machine simply by fitting vertical type tooling into the horizontal spindle. Usually when doing this it is necessary to “rotate” the milling table through 90° by means of an angle plate.